Since 2007 I have been shooting exclusively with a Holga camera, basically a $25 plastic camera that shoots medium format film (I am usually shooting with infrared film). When I reflect on why I am so drawn to this camera, I guess it comes down to the unique and timeless beauty in the images it creates. The image is soft, muted, never truly in focus, giving a somewhat surreal feel to each image. Instead of creating a precise recorded image of what we saw, this camera has the ability to morph that recorded image into a dreamlike memory. If you think about it, with time, our memories of the past become more dreamlike, more subjective. Through this plastic lens, somehow I am able to capture some of that beautiful subjectivity. Prints are limited edition on Hahnemuhle Museum Etching paper using Piezography carbon pigment inks. None of my images have been manipulated. I have been fortunate enough to have had my work shown in galleries throughout the country. 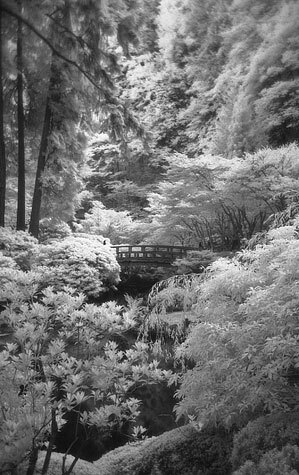 My Holga Infrared images have been published multiple times in B&W Magazine , Also, several images were used by Michelle Bates in the 2nd edition of her book “Plastic Cameras, Toying with Creativity”.